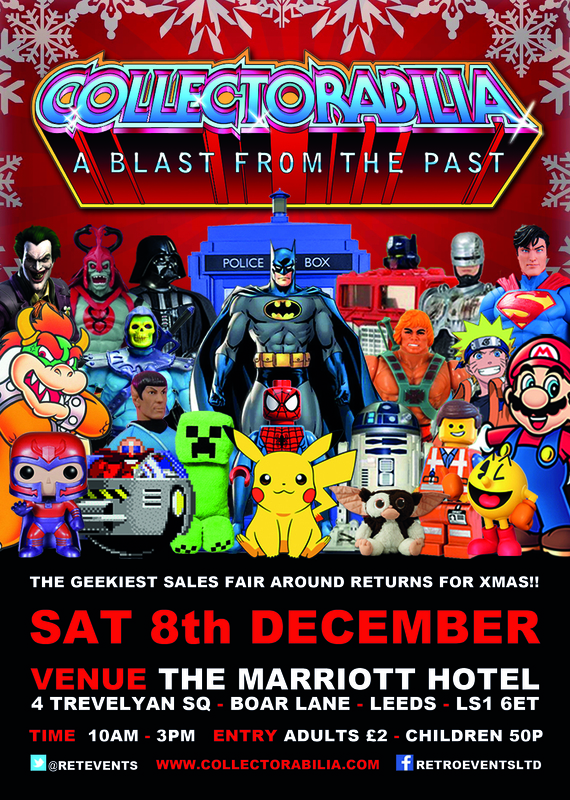 The Geekiest sales fair returns in time for XMAS! 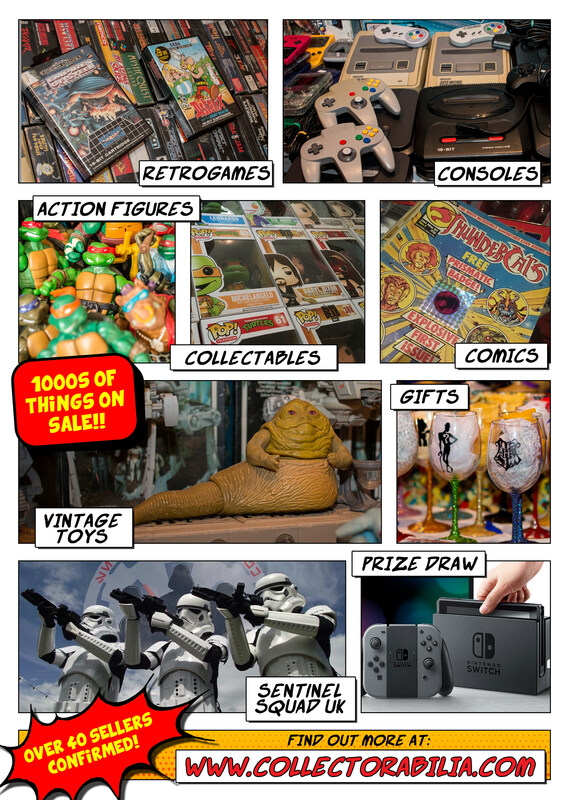 With over 40 sellers of the best of: Retro Video Games, Consoles, vintage toys, action figures, Star Wars, He Man, Comics, graphic novels, Lego, Geek Culture, Pixel Bead Art, Funko Pops, original artwork, t-shirts, modern pop culture and much more on sale there is something for everybody! This is the perfect event to get those great additions to your collection, buy back your childhood, discover new things, start a new collection and pick up some great Xmas presents! The Sentinel Squad UK return as well - so you can meet all your favourite characters from the Star Wars Universe, get your photos taken and help raise money for their chosen charity! Tell us you are coming on the facebook event page: https://www.facebook.com/events/248856192372899/ and keeping checking on there for updates on the event! So come along and join in the fun and get some great stuff for the collection and some ace Xmas pressies too!! Ace Steve can't wait, would like to volunteer again please. Thanks. Am helping out on Saturday please come along. Remember to post pics all! Enjoy! Cheers mate. Will be good to see what its like there. Looks like I wont be going to Echo Live in Spring now so other event info will be great. Hi mate purchases from yesterday and photos of Toys of Tatooine stall. By far the best stall. How come you can't go? Great photos matey. Any of the venue? Work - but not in country. Cheers mate. Sorry to hear that. Facebook maybe? FB good. Yeah - work for a few months. They keep me busy. The one yesterday was ace as always.